Uber, on the one hand, under siege from the taxi industry, on the other hand, every second person I speak to seems to regularly utilise the service, whether it’s in Sydney, London or New York. Of course, the under 40s have definitely embraced it. This generation embraces disruption. They don’t watch scheduled TV, they don’t own a CD, and less of them are even bothering to get a driver’s licence. Late Gen X and early Gen Y see the world differently, travel, lifestyle, balance and fair remuneration are their drivers (McCrindle Research). This is the emerging generation of parents with children starting school in the next few years. The big question is: Will they consider disruptive thinking about the learning environment and context of school for their own child, or will nostalgia inevitably kick in? I’m curious to know how the Uber-generation will think about school, once they are parents. This is where it started: Saturday night Christmas Party, beachside suburb of Sydney. 1am. Time to go home. Or time to stay and get ugly. We decide to go. I use the m2 taxi app. I enter the address. I enter where we’re going. I book. A tag comes up reading “WAITING FOR DRIVER TO ACCEPT”. Nothing happens. The so-called ‘tried and true’ methods, those with a monopoly on service no longer cut it. I open Uber. The address I’m at comes up instantly. I tap in the destination, it figures out I want my home address. I book. 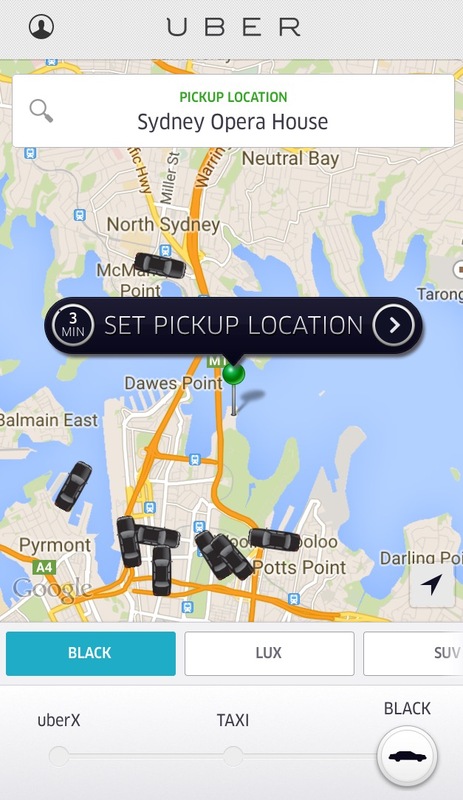 Instantly I’m looking at a map showing an animated swivelling school of Uber vehicles. Seconds later I get a message from a driver who says he’s three minutes away. His vehicle separates from the school and starts heading to me. His phone number pops up. A little portrait of him arrives. I get a countdown. Two minutes away. One minute away. At the moment of arrival, he rings me. We’re already at the front gate. This is the kind of service and connection that we are now expecting. It’s why AirBnB has revolutionised the accommodation industry and Spotify-like services, the music industry. Communication: relevant, timely, meaningful and intuitive. Not waiting until the formal reporting schedules for parent-teacher interviews, but setting in place a system for feedback that is manageable and helpful. Tracking: Following from the previous idea, providing a progress monitoring mechanism that enables real-time information flow. Breaking the monopoly: While defined outcomes, NAPLAN and formalised testing aid in the big picture, these have now become an industry themselves, rather we need to focus on authentic and purposeful learning. Relationship: Student to student, student to educator, educator to parent, parent to parent – all these relationships matter. The desired outcome of the clear relationships and roles will reap benefits not only at the individual level, but as a community. Destination: Taking the students where they want to go, achieve their identified goals and aspirations. I’m a bit young for for Gen Y (still in high school), but this model of education definitely seems more appealing than what I’m going through right now. Too bad the bureaucracy isn’t changing anytime soon. Thanks Amy, you are exactly who we need to be listening to! What a great piece! It is almost ‘Bernard Slat like’ in that it clearly links the social with the educational. I especially like numbers 1, 2 & 5 of your five critical disruptions for educating of the Uber generation. I think real-time reporting is the next BIG thing in schools. Real-time (self, peer and school) reporting will promote relationships between home and school .With imagination and creativity (because the tools are there), this can be implemented quickly and well, we just need to educate the parents and explore new ways. (As Stephen Harris would say, “Do then Think”).